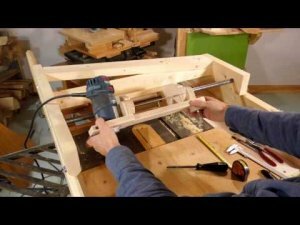 I was going to take a lazy day today, because it is my birthday, and not post an article, but I came across these videos over the weekend of Matthias over at WoodGears building a cool new router copy contraption and thought I would share them. His latest machine accepts a small trim router and allows the user to use a follower to duplicate an object into wood. In his first example Matthias was able to copy a wrench and get some pretty good detail. If you want more information, be sure to watch the videos below and visit Woodgears, where you can also buy building plans for the Router Copy Carver. Part 1 of building my router copy carver. Part 2 coming tomorrow.